Sykose is a new social site in the incubation stage. 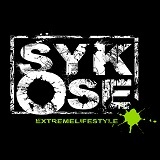 Sykose is aimed at the man in the street who feels extreme ,well buddy we are here for you. Everything is going to be here in one place, chat to your mates, check out the top sykose chosen athletes in video or photo. Gain rewards for supplying content and getting your fellow syko mates to follow. This is the journal of this extreme journey, so fasten up sit back and lets scream on the ride together. I’m looking forward to following the adventure here. Thanks for reposting “Pursuit and Beauty” from my blog. Thanks for reposting my motion graphics demo reel! Cheers! In a typical bullfight, the animal is attacked by men on foot and on horseback with lances and harpoons. The matador forces the confused and exhausted bull to make a few charges before eventually attempting to kill it with a sword. If not killed, the animal is stabbed repeatedly until paralysed. When the bull finally collapses its spinal cord is cut, but the animal may still be conscious as its ears and tail are cut off and kept as a trophy. Further cruelty takes place away from the gaze of the general public. Bulls are sometimes weakened and disorientated prior to a fight for example through drugging, or by having Vaseline smeared in their eyes to impair their vision. A bull’s horns may also be shaved before a fight, making them extremely sensitive to pain. Please don’t support or re-b-log bullfighting, it is so sad and cruel. Any problem or suggestion,please feel free contact me. Thanks for re-posting my Dive Against Debris story! Great concept here. All the best. I do feel “extreme” out in the streets! Thanks for checking out my recent post called “The Bike Commuters Claim to Asphalt: It’s the Best and Worst of Times.” Love your site! Thanks for the repost and for following 🙂 Nice blog! You certainly have a great blog:) We will definitely be back. Hi Guys, Thanks a lot for following us here at http://www.hitchhikershandbook.com! We have checked out your blog and we must say you have some wonderful ideas going on here and we will definitely be back. Keep up the great work! Thanks for following my blog…following you right back!! Great site. Cheers for the follow! I do not actually know much about extreme sports, but your site looks interesting. Thank you for the follow! Thanks for following my blog! I will definitely be following yours with great interest. I am a sports fanatic, love all sports. Looks like you will provide me with some great things to learn more about. You are doing what I hope to be doing in some way soon! Great site! Thank you for the follow!!! 🙂 Good luck with your very exciting looking blog!!! Thanks- you are very kind! Awesome you’ve shared the Longboard Girls Crew new trailer! A heads up about our similar film series “Skate Greener Pastures – Offshore”. We’re releasing our third episode at the end of the month. Would be great if you could share! Thanks! Thanks-we will certainly share it with pleasure! Hey cheers for following my blog. Looks like you have some cool stuff on here. Look forward to following it from now on. Thank you for the follow! Love the posts here! Appreciate the follow. With apology, I’m afraid I can’t reciprocate at the moment due to the daily WordPress email deluge I receive. Hopefully I can figure out how to manage it soon. When writing content for your blog it is recommended to be as concise as possible and this is where Twitter can be very helpful. Create a positive image of your company with every post you write, and avoid common mistakes of blog writing as such excessive use of keywords, giving irrelevant data etc. blog that is hard to read would be one with a black background and small white font. Hey very interesting blogs :).I look forward to extreme sports.Thanks for reposting my blog here flying without wings.I am glad you liked it. I really enjoyed your blog-will certainly be back!